Sonic the Hedgehog has one of the strangest yet most dedicated fandoms in video game history. Look no further than Sonic Fan Remix for evidence of this. 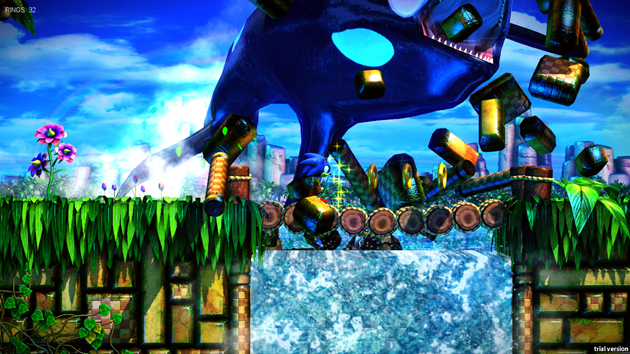 The goal with this fan-made project was to remake stages from Sonic 1, 2, and 3 in stunning HD. To my knowledge the only piece of it ever released was a three-act demo of Emerald Hill Zone, though hopes for anything more than this seem to be dead in the water. There was a brief attempt to revive it in 2013, but if that gained any sort of traction, I’m not aware of it. Either way, the bite-sized piece released to the public was ridiculously gorgeous. The amount of detail crammed into the visuals here is astonishing, which you can clearly see in the video below. The funny thing is that Sega actually released some high-definition 2.5D Sonic games (Sonic Generations and two episodes of Sonic the Hedgehog 4), and none of those compares to the sheer amount of awesome that is Sonic Fan Remix. You can download the Emerald Hill Zone demo at this mirror, and check out the game’s official site here.